The clock strikes twelve, the ball has dropped and we are officially in the New Year. 2019 is all about chasing after your dreams and not letting anything hold you back. So, if you are fed up with renting and have always dreamt about becoming a homeowner, this is the perfect year to do it. Housing prices and Hamilton mortgage rates currently low, which is optimal for potential homebuyers, however, experts are predicting these rates and home prices will begin to increase in the near future. This means you should act quickly to fully take advantage of the current market. Once you begin the mortgage application process, it is important for you to know everything that is involved, including any additional fees and insurance that may be required. To help you get started, we have created this post to better explain what exactly mortgage insurance is and when is it required. When you find the home of your dreams and require financing you will be required to provide a down payment on the purchase price of the home. This is a percentage of the homes total value that you need to have available in order to close on your home. The amount of down payment you have available will determine mortgage insurance will be required, and if so, how much. As a rule of thumb, if mortgage insurance is required, the smaller the down payment the higher the insurance premium will be. In Canada, major lenders are required to have mortgages insured when you are making less than a 20% down, with mortgage default Insurance. Unlike Mortgage Life and Disability Insurance, mortgage default insurance protects the lender in the event that you default on your mortgage. The three insurance providers in Canada are CMHC, Genworth Financial Canada and Canada Guarantee. This insurance is your responsibility to pay, however is added to the balance of the mortgage instead of you having to pay “out of pocket”. 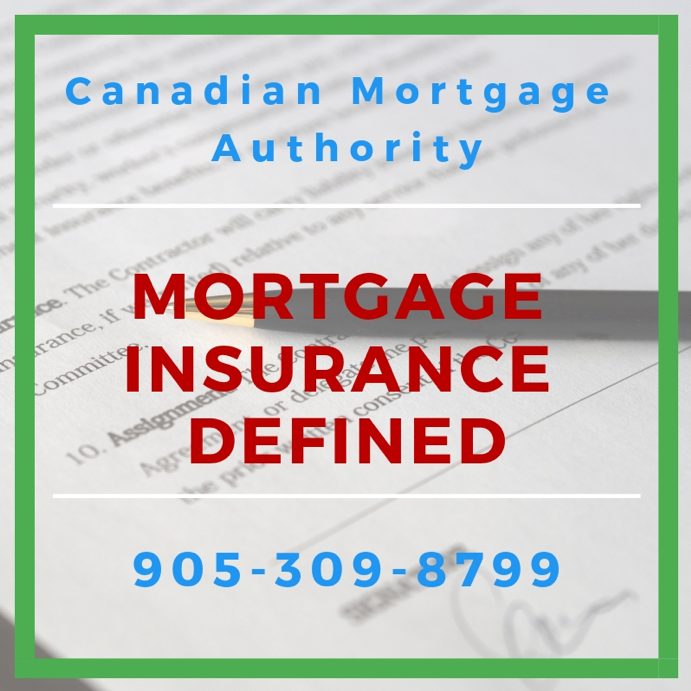 If you have any questions about mortgage default insurance or if you would like to get started on your home loan application, please contact us today at 905-309-8799. We are proud to be your trusted Hamilton mortgage team and an authority on mortgages in Canada. Please let us know how we can help you with your home financing needs!